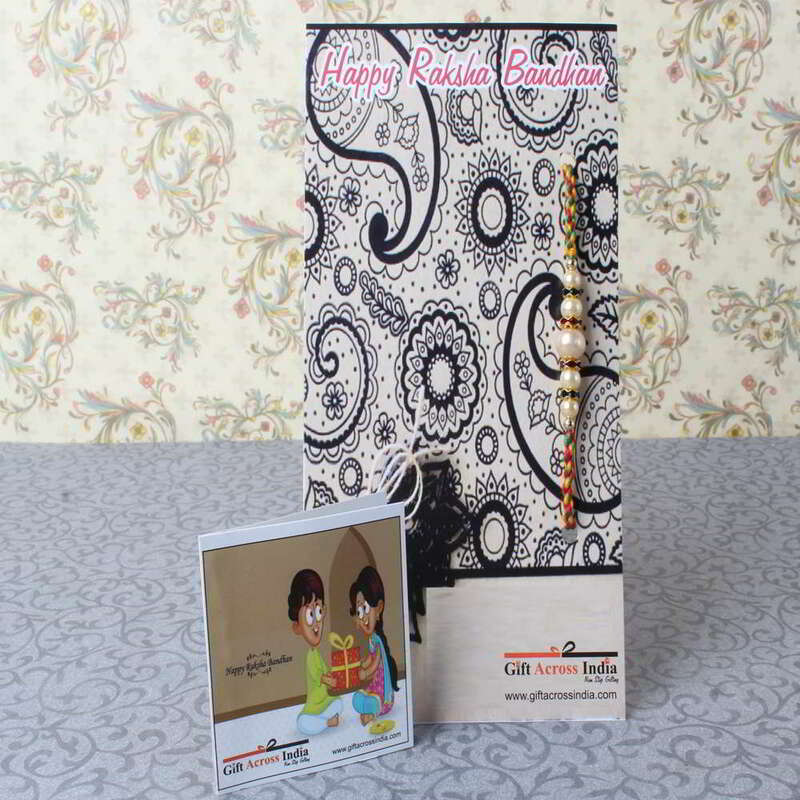 Product Consists: Pearl beads Rakhi with colorful designer rings nicely tied on a designer Card. Oval shaped pearl beads threaded in a multicolored string along with matching beaded rings looks super cool. 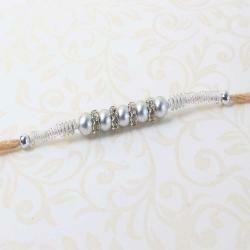 The multicolored thread is very soft and classy in looks which matched well with the beads. 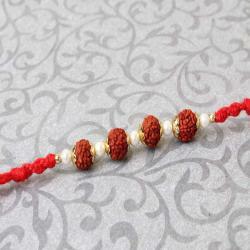 Send this special Rakhi thread to your loved one on the eve of Raksha Bandhan and celebrate the eve with their precious smiles. 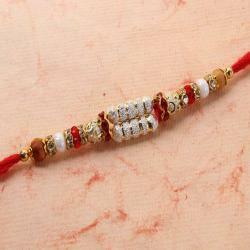 Sending Rakhi to your loved one make them feel special and it also strengthens the special bond between you. 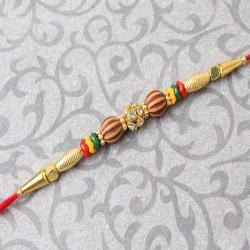 This colorful Rakhi on the eve of Raksha Bandhan will bring colors to your lives and will shower your love and blessing on your loved ones. 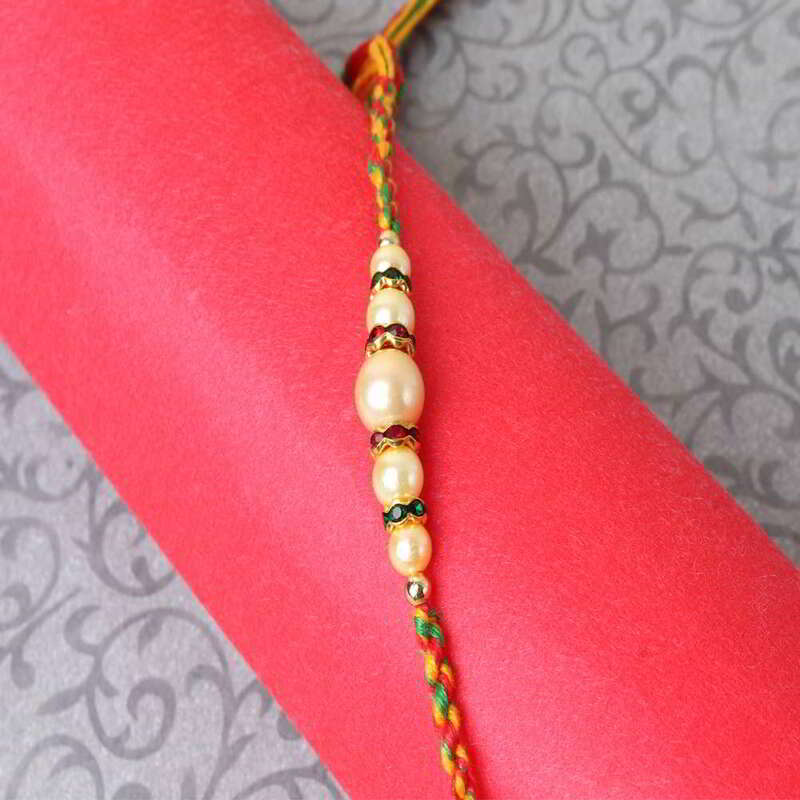 Product Consists: Pearl beads Rakhi with colorful designer rings nicely tied on a designer Card.